I have given you eyes to see and ears to hear what I Am saying and what I Am doing, says the Lord. Listen closely to My voice on the inside of you and you will have clarity. Open the eyes of your spirit and SEE plainly, says the Lord. For I will cause you to have vision. 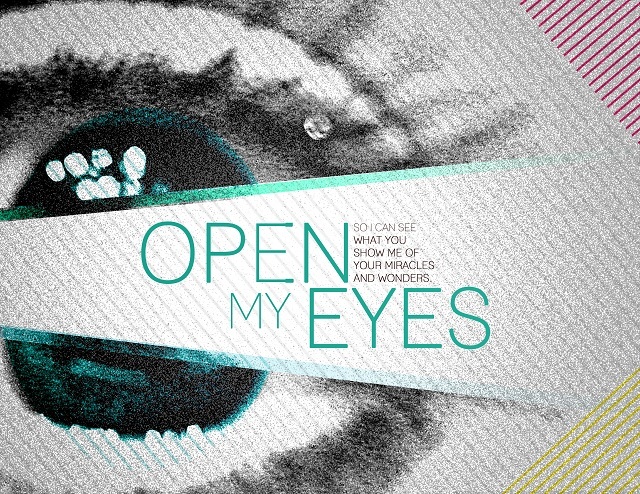 I will cause your eyes and ears to be anointed. I will show you things to come. I will give you healing Words. Look to Me intently. It is not for you to absorb all the news that fills the atmosphere of your life. Listen TO ME! I will show you what you need to know with clarity and renew your mind in My presence. Who made the earth? Who made everything that exists? I HAVE. I DID, and I AM still creating, says the Lord. There is nothing outside of MY power and authority. I own everything and Am the LORD OF ALL. Trust in Me at all times to lead and guide you and give you clarity of sight and the sound of MY voice, says the Lord. Squelch out the exterior racket that is vying for your attention, says the Lord and silence your own negative thoughts and feelings and voice. Just come to Me and empty yourself before Me so that I can fill you with My thoughts and My ways. If you come into My presence full of every other thing, there will be no resting place in you for My Word and My thoughts and My ways. SO abandon yourself. Empty yourself. Turn away from the external illegitimate stimuli and focus totally upon Me. I Am your creator GOD and nothing is beyond Me and My ability. I will provision you at all times as you lean upon Me and abandon your own understanding. Just receive of My goodness for you and don’t allow your circumstances to boggle your mind. I will give you great joy as you put your faith and trust in Me to be your all in all, says the Lord.